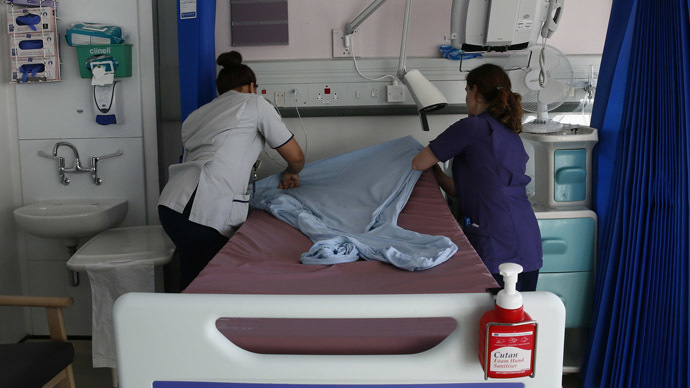 Plans to move the National Health Service (NHS) to a seven-day service could be hampered by increased pressure on staff, coupled with £22 billion worth of further cuts, a report has warned. The report from healthcare think tank The Nuffield Trust comes as Health Secretary Jeremy Hunt announced a clamp down on excessive NHS spending on agency staff. The report calls for an overhaul of the current top-down organizational structure, saying the “narrow” goals are forcing distorted hospital priorities. Nuffield Trust CEO Nigel Edwards said: “The NHS needs to hit very ambitious efficiency targets, at the same time as fundamentally changing the way care is delivered and moving to a seven-day service. That can only be done if it has the right staff in the right places. Yet there are not enough staff to fill gaps in key areas, and we are seeing clear signs of stress and disengagement. Their report coincides with government plans to tackle current spending on NHS agencies, which hit £3.3 billion last year. New measures will set a maximum hourly rate for agency doctors and nurses, as well as capping the total amount struggling trusts can spend on agency work. The total bill for management consultants was £600 million in 2014, with some trusts paying agencies as much as £3,500 for a single doctor’s shift. Nigel Edwards added that while the new measures were welcomed, cutting down on agencies would not solve funding problems.